You can find many shops outside your room: bank, restaurants - clinics, hypermarkets, etc, are all just less than 2 minutes away by walk. 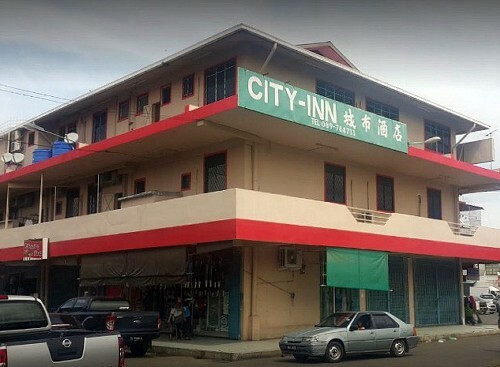 The City Inn Semporna offers 39 affordable budget prices well maintained clean rooms equipped with air-condition, Cable TV for Sports Channel, HBO, Star Movie, TV1 and TV2, hot shower, daily room cleaning and complimentary bottled mineral drinking water. Offering 39 clean, budget well maintain comfortable bedrooms equipped with individually controlled air-condition, private bathroom with hot and cold water shower, 2 bottles of free drinking water and cable TV (HBO, Star Movie, ESPN etc...). Rooms are serviced daily by housekeeping and have laundry services for in house guests.